I had an interesting conversation on my flight back to Bangalore after Bhatti Lakes, one which had me thinking if whether ultra runners are really masochistic or if we just consider it a cool thing to be called so! There are several ways one can seek pleasure, but, to seek pleasure in pain, which represents a masochist, may be an ultra runner’s way of punishing themselves with miles that are piled on to their first ultra-running distance, year after year, never wondering whether their body can withstand and give them a repeat performance every time they wish to entertain themselves with a ‘few’ miles on the trail/tarmac. I will need to ask each of them what drives them, as everyone’s story differs, something we came to know from pre and post Bhatti interviews. 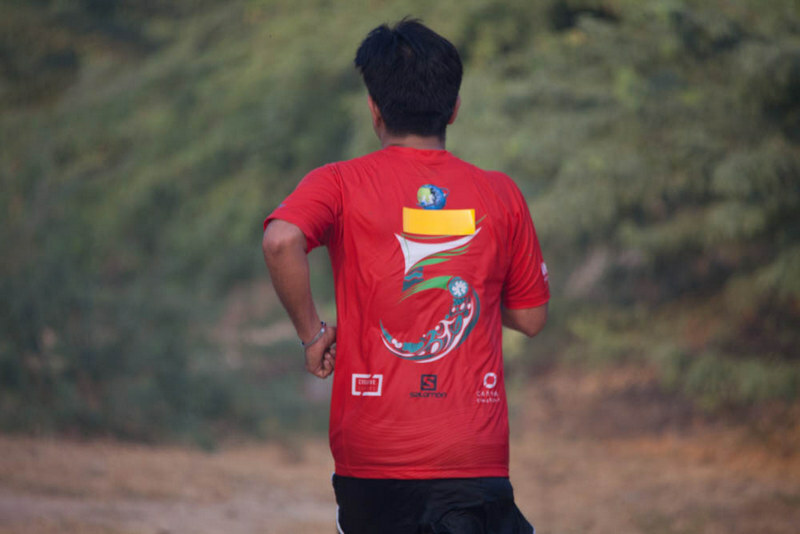 What runners are made of………..
Bhatti Lakes Ultra is no doubt a masochist’s playground. It’s got it all. 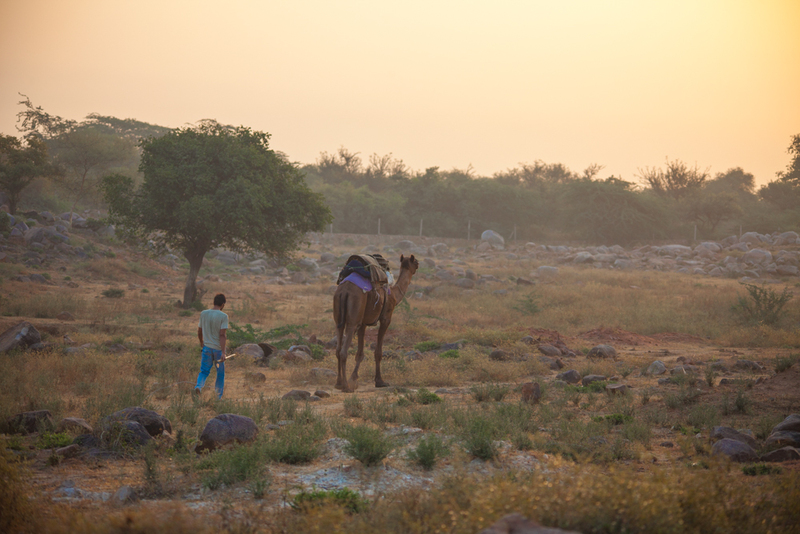 Rough trail, thorny bushes, howling foxes, loneliness of the forest area at night, dehydrating heat, and the pain of injuries sustained from pounding only a rocky terrain can inflict on one’s soles, and souls. 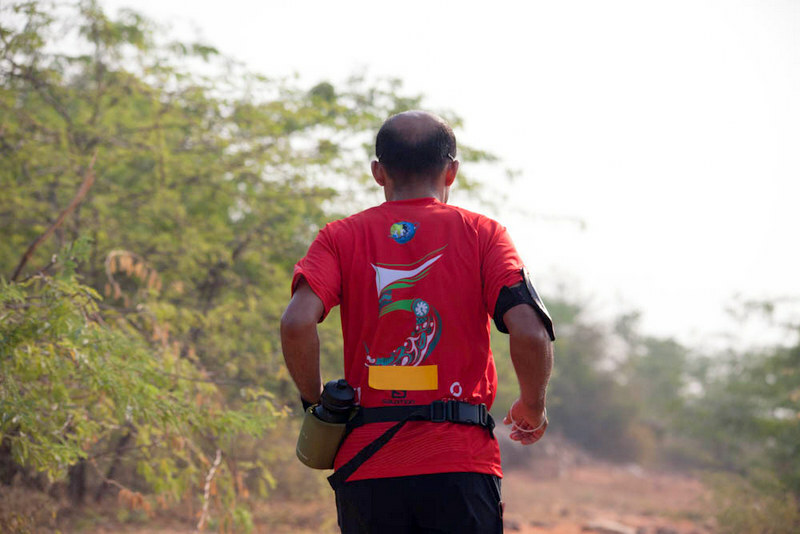 In its fifth edition, a milestone for Globeracers, BLU is still India’s only 100-mile and a 136 mile race. With 70 registered participants, it was a grueling 45 hours for runners, volunteers and organizers. 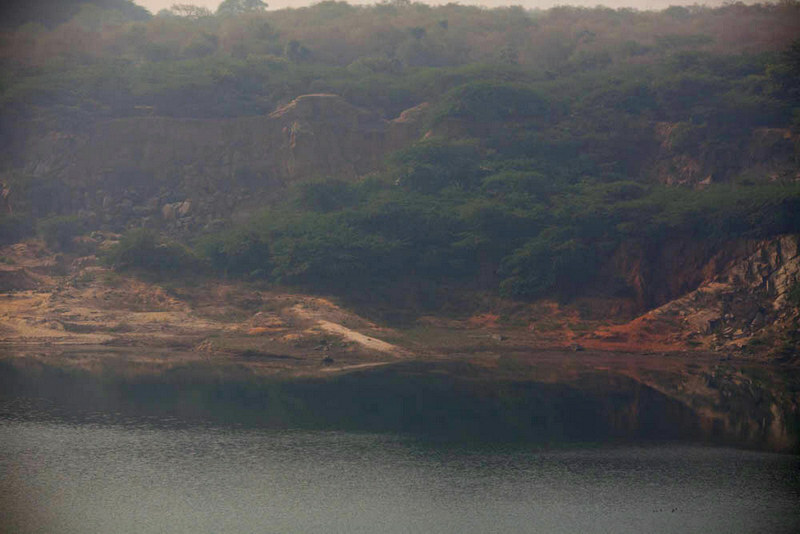 The trail is set around abandoned Bhatti Mines, in Faridabad area of Aravali forest. It is a big draw not just for the experienced ultra runner who aim to chase a 220Km, 160Kms, 100Kms or a 24 hour challenge, but it also appeals to the first time ultra runner who hears about the race from their peers, coaches and ultra running heroes, where they can test their endurance and love for ultra running, with a 80Km or 50Km distance. Some even choose to partner with other runners who want to experience an ultra and register to participate in 50Km and 75Km relay races. This edition, besides the previous edition, saw a large number of DNFs and DNQs, with only one Honorable Finish, awarded to a runner who finished 2 minutes post cut-off time. We believe every runner needs to be treated equal and also be given individual consideration based on his or her story. We have allowed late finishes and introduced DNQ the previous year for those finishing much later than the cut-off time who receive commendation for the distance, if not the medal. 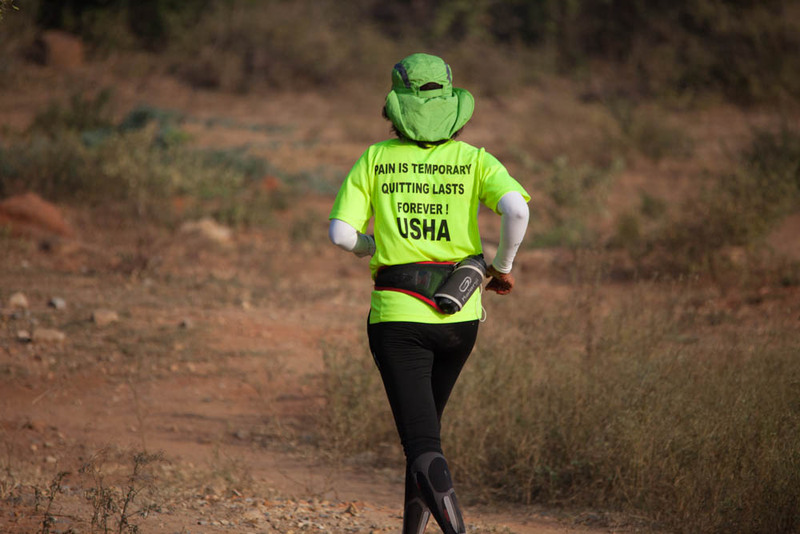 It encourages a passionate runner, such as in the case of Usha Prasad Bhatti, who came back to do the same distance and in much lesser time, 3 plus hours shaved off her previous finish time. Makes us believe a little appreciation goes a long way. They are Globeracers after all! 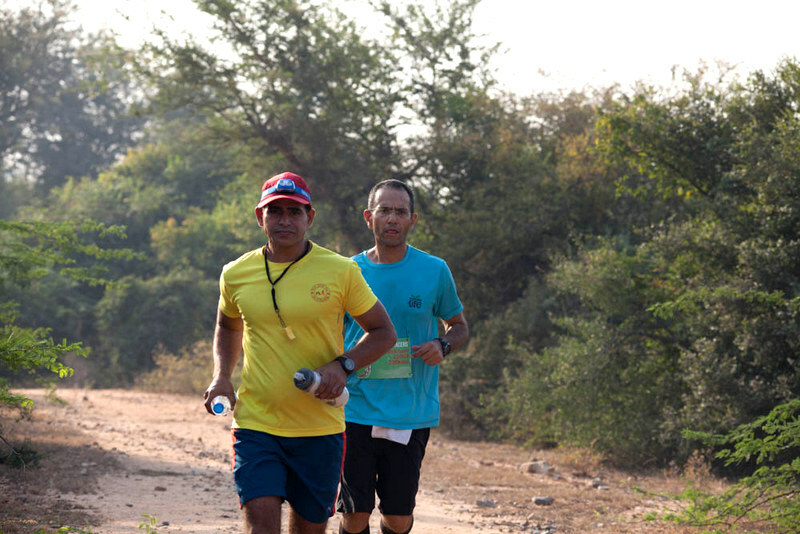 On October 10, 2014 at 4.05pm two runners, Bhupendrasing Rajput and Shshank Pundir set off on their 220km journey on a 20km loop, a 10k out and back trail. 11 loops in all awaited their footprints. With the trail half marked before the runners could reach the 10km point and turn around, inevitably both the runners did a few extra kilometers. Both, in good humor and being kind to organizer’s woes, said it was good fun checking out the trails! Ultra run that! 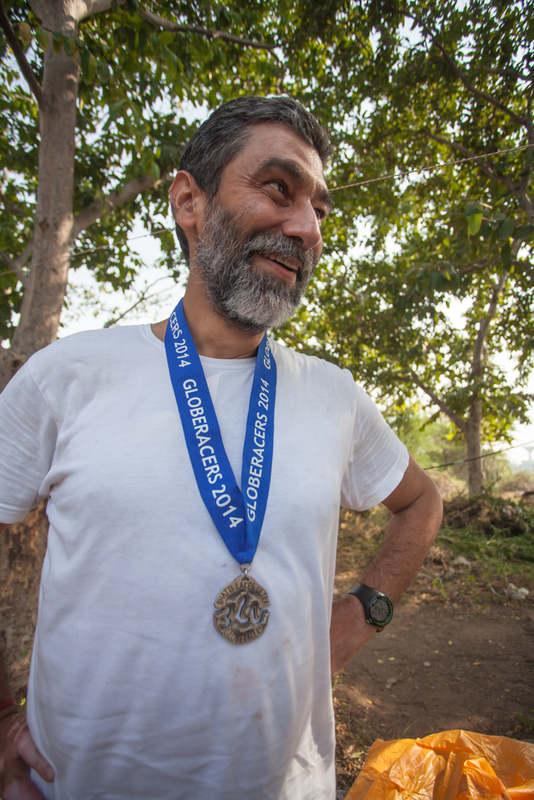 Our marker and ARD Avinash Pratap Singh was diagnosed with Jaundice the day of the race and having taken medicine for the same that was flushing it out of his system, him marking the trail, without help, was a herculean task. We lost a few volunteers who were assigned to marking to the holiday festivities. It eventually had to be delayed till I could see off the runners and give him a hand. Despite the well-laid plans, every year, there is one thing that throws us off track, literally and figuratively. We are thankful that it was the one and the last hiccup for this race. With a limping me in tow, Avinash finished marking the trail. It was a humorous time what with he unable to talk (Jaundice medicines played havoc on his body), and I unable to walk, with 5th metatarsal on my left foot popping out J. He couldn’t call out to me and I couldn’t run to keep up with him! With the route now marked, and volunteers present in abundance, thanks to our partner and sponsor A&S Creations, representing Salmon, Suunto and Lingti, it was smooth sailing from the first loop on, for us. 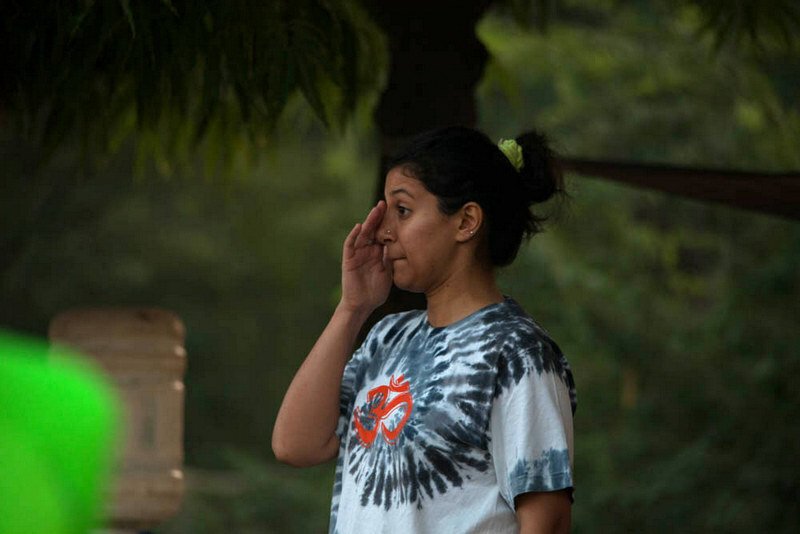 As the race progressed both Shshank and Bhupendra had woos of their own, both throwing up different foods. Shshank felt better post the incident and Bhupendrasing never recovered. 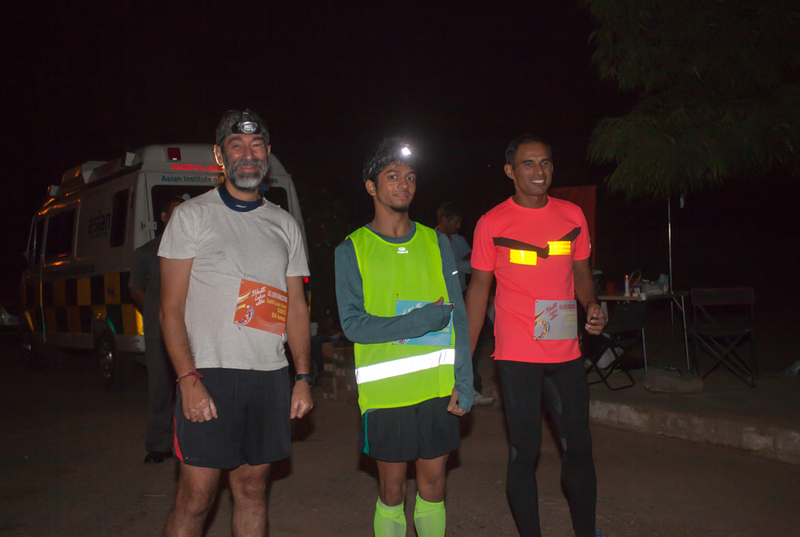 As the clock raced ahead, on the second day of the race, Saturday, Bhupendrasing’s race came to end as dusk took over the forest, and foxes came out howling in the dark. Shshank continued on with his race, now fuelled by company of other runners who started their race at 5am Saturday. His crew and family kept constant company and egged him on to keep up pace and rest when needed. He seemed prepared and that he had a race plan was evident. 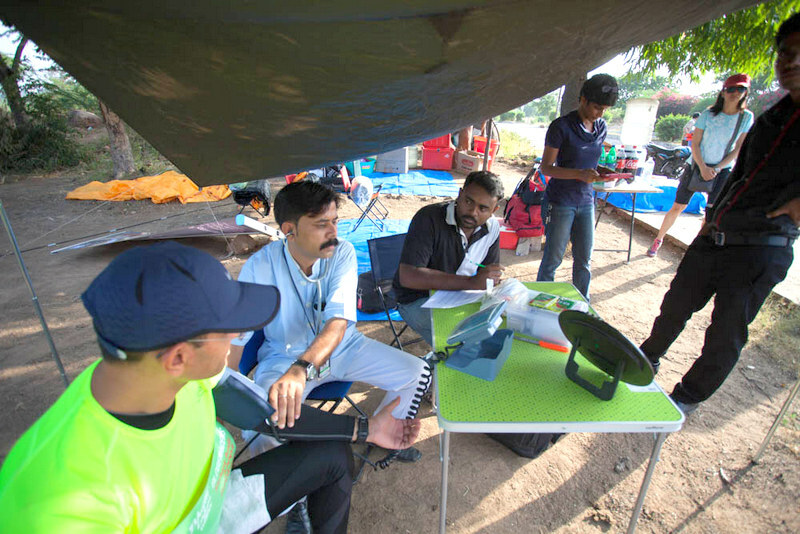 Medics from Asian hospitals kept a vigil throughout the 48 hours of the race, ensuring runners were weighed, their BP checked, and seeking answers from them to questions such as water and foot intake, and any issues of water retention or dehydration. Bhupendrasing had to sit out in the medical tent due to huge BP variation and same with Mahesh Manickam whose salt intake varied largely playing havoc on his BP readings. It is vital for runners to know their body, perspiration and balance their food, water and salt intake during an ultra run. Having Asian Hospitals at the venue ensured runners were fit through the run, and were monitored for signs of fatigue and critical change in vitals. 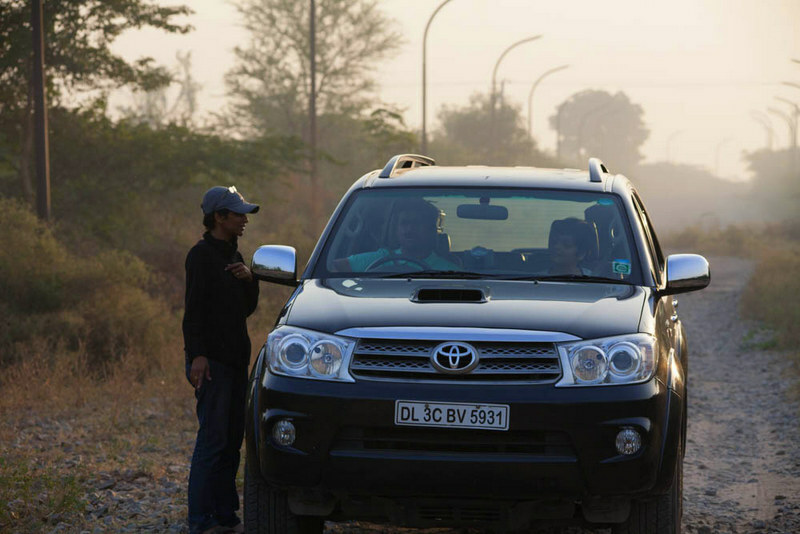 From our experiences at previous editions of Bhatti, we expected cold weather at night, but it was unusually warm. Not even our lightweight jackets came out that entire night. It’s good for runners, as they do not need blankets and jackets to stay warm when they take quick breaks and to refuel. As 220Km runners kept at it with few breaks through Friday night, near full moon added to a great experience of night running on the trail, with slight wind, distant calls of the wild, and moon dancing off of waters in the lakes that shine like mirrors. It is an experience worth the pain of ultra running. 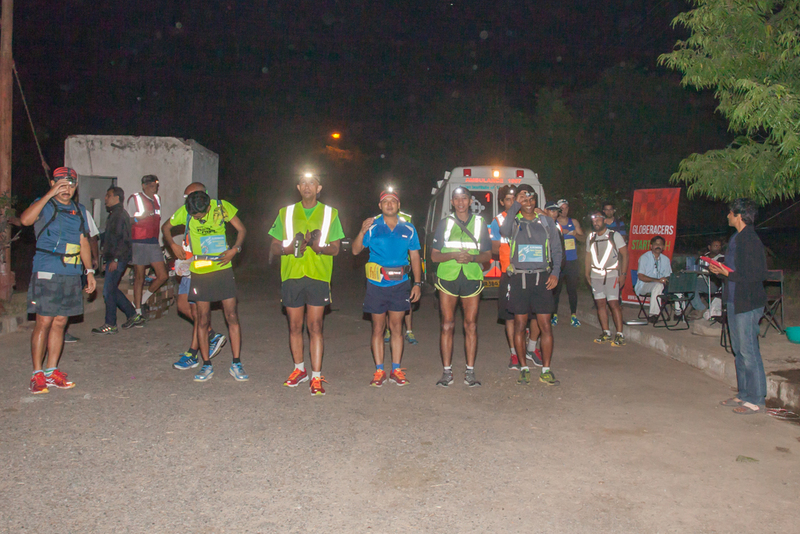 As midnight moon faded and a new day’s light enveloped the forest and trail, the brave soldiers of 220km started to feel revived, replenished and infused with fresh energy in the form of 160Km, 100km, 80Km and 24 hour runners who boosted their morale. Second batch of runners started at 5.05am, October11, 2014. This set of runners consisted of new and experienced ones and they each encouraged the other to keep up pace and follow their own strategy. 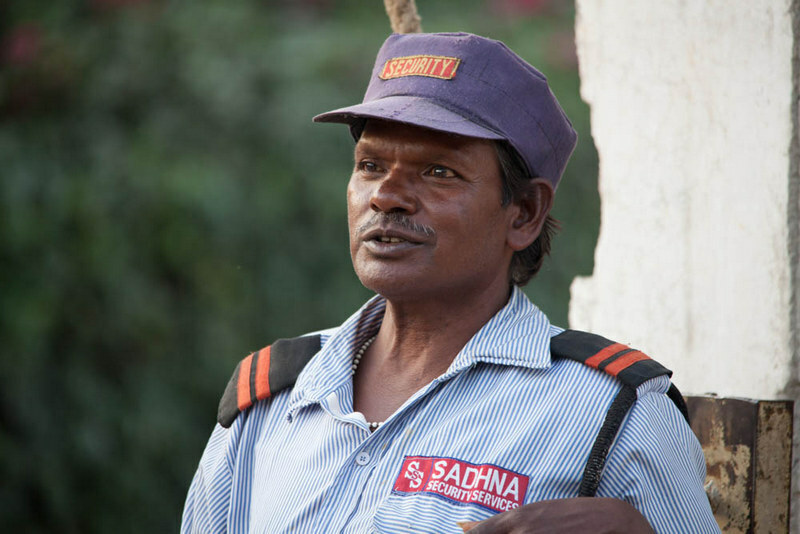 As was the case the previous year, Arunaabh Shah arrived late and had to wait his turn to begin his race until we could provide him his BIB. He hadn’t picked it up the previous day, and he didn’t make it to the venue early as assured. Arun Bharadwaj too was late. We make a lot of exceptions, despite setting deadlines through clear instructions provided in emails and documents sent to all participants leading up to the race. Yet, there always are a few runners who will miss the instructions, and eventually their target. Remember to always prepare for a race ahead of time unless it is a life-threatening circumstance that you are embroiled in. If you cannot respect running, the trails will not be kind to you, eventually. 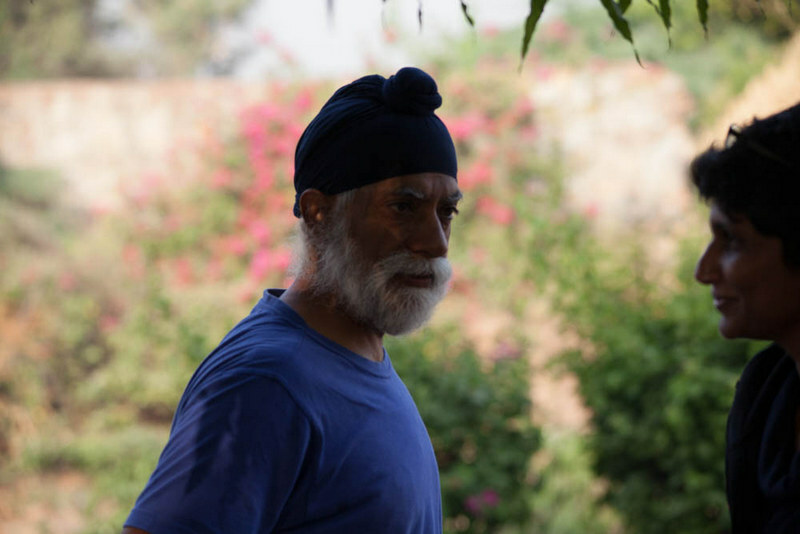 This edition of Bhatti saw many Bhatti veterans sign up to volunteer and every 8 hours we saw fresh faces at the aid-stations, eager to meet the needs of runners and in turn feeding off of their energy. There was major help in the form of A&S Creations, representing Salomon, Suunto and Lingti brands, providing not just logistics support, but volunteering on the trail every shift. It served as a learning experience for them and a great motivator for the runners to see energetic folks at aid-stations, not just serving them food and water but also giving them massages and helping them stretch. Thank you Arjun Joshi, who volunteered both on Saturday and Sunday, Tanvir Kazmi, Manish Verma, Shruthi Saxena, Amit Joshi, Sumit Sabharwal, Laghu Agarwal, Prakash Zaveri, Ritesh, Sanjay Dhawan, Nidhi Dhawan, Gagandeep Sapra, Harpreet Sapra, Goutam Shankar, Anupriya Kapur for your tireless and selfless contribution to the runners’ experience. Harveen Singh and Avinash Pratap Singh deserve special mention for their contribution to this year and previous editions. They are indispensable members of Globeracers’ team and runners have time and again appreciated their presence at the races. We certainly missed Prateek Mohan this year who is off on a backpack trip in Europe. The guards who dedicatedly kept vigil on the trail to ensure runners’ safety. They would have put in enough distance to count as an ultra, four guards in all! This particular guard did the most. 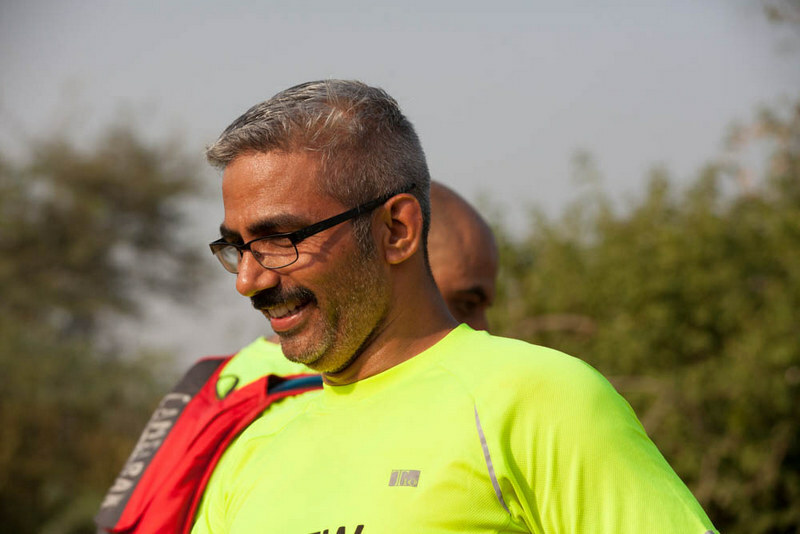 Our partner and sponsor, Sumit Sabharwal, CEO of A&S Creations, who himself was on the trail ensuring runners received what they needed, all through the race. 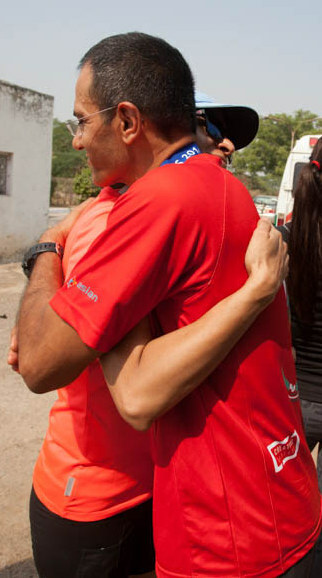 Arjun Joshi, an ultra runner and friend, who volunteered both Saturday and Sunday. When his shift ended, he stayed on not wanting to leave. Volunteering, crewing and pacing in ultra runs is as addictive as being on the trail! Thank you, Arjun, you are an awesome friend. 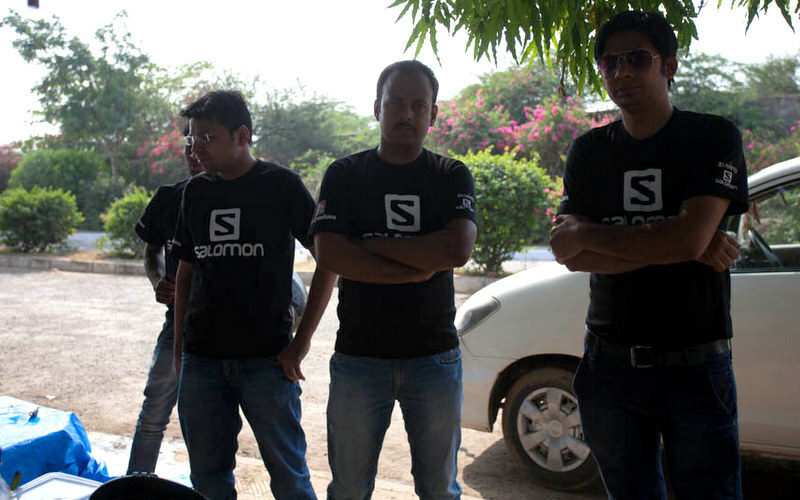 Some of the Salomon team members whose contribution to this edition of Bhatti is invaluable. Tanvir Kazmi and Mahesh who volunteered through Saturday to Sunday morning race completion time. Ultra runners and true athletes, supporting other runners through a grueling race. 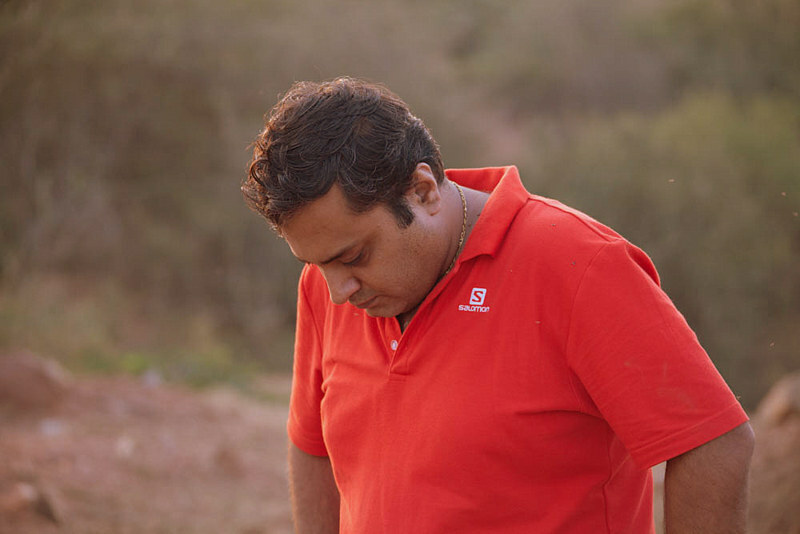 Avinash Pratap Singh, our ARD and also waste management consultant. 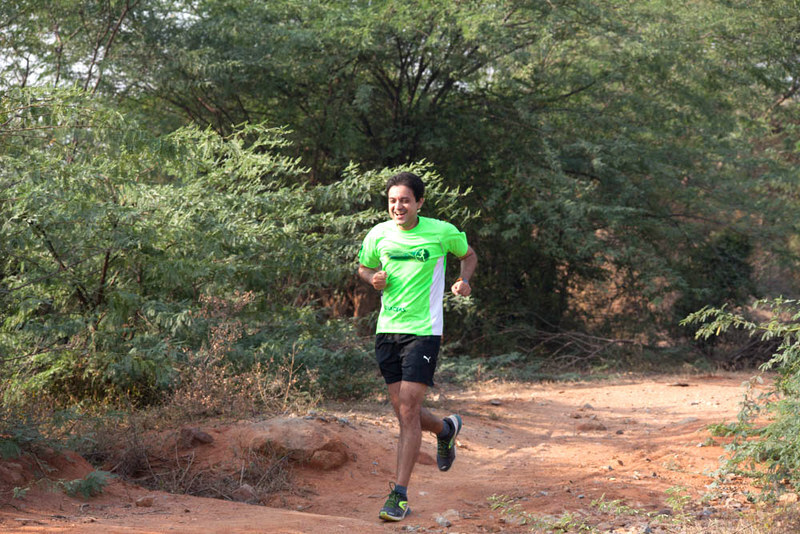 Tanvir having fun on the trails after his volunteer shift ended 🙂 A true runner at heart. He is leading the Comrades contingent this year as in every other year. 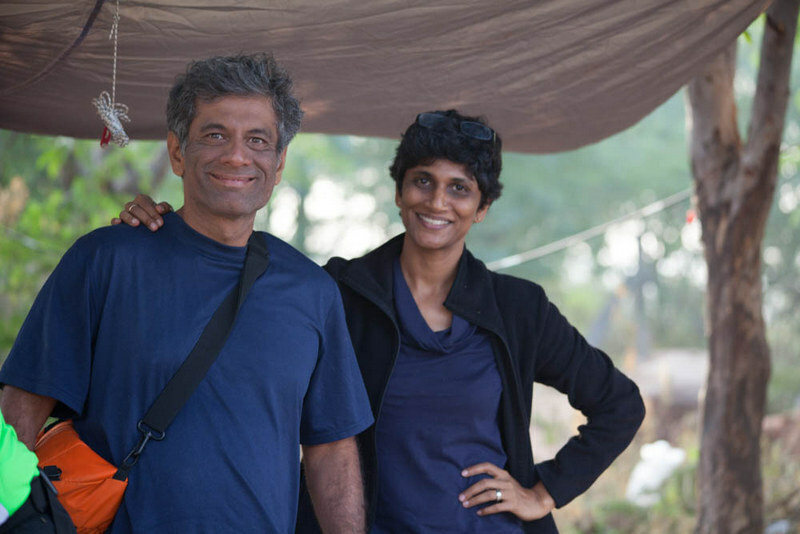 Dr.Sanjay Dhawan, and Dr.Nidhi Dhawan visiting us on the trail. 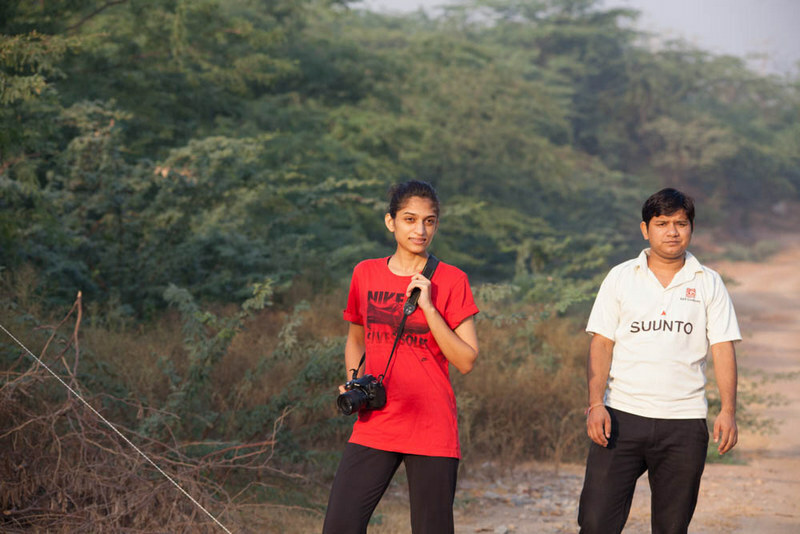 Garima Sharma who tirelessly manned Aid Station 1 along with Arjun Joshi. Her energy was infectious and runners were voluntarily calling out their bib numbers for her to mark their timing with ease! Such is the power of awesome volunteers. 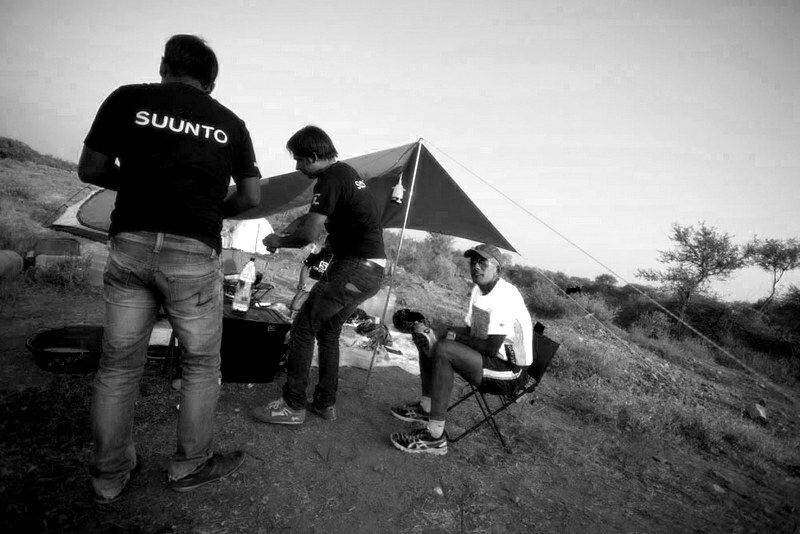 Devika with Suunto team, manning the 2.5Km turn around station for relay runners. They also got some of great images of runners on the trail! 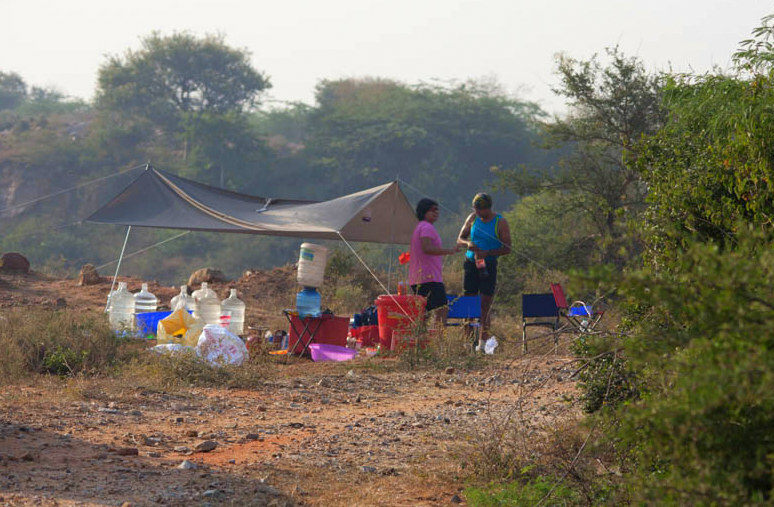 Shruthi Saxena and Amit Ojha at Aid Station 2 who arrived early on Sunday morning, even though it was a festive weekend. In their own words ‘it was a great experience being on the other side of an ultra run’! They kept runners entertained with their good humored nature and awesome ultra running spirit. 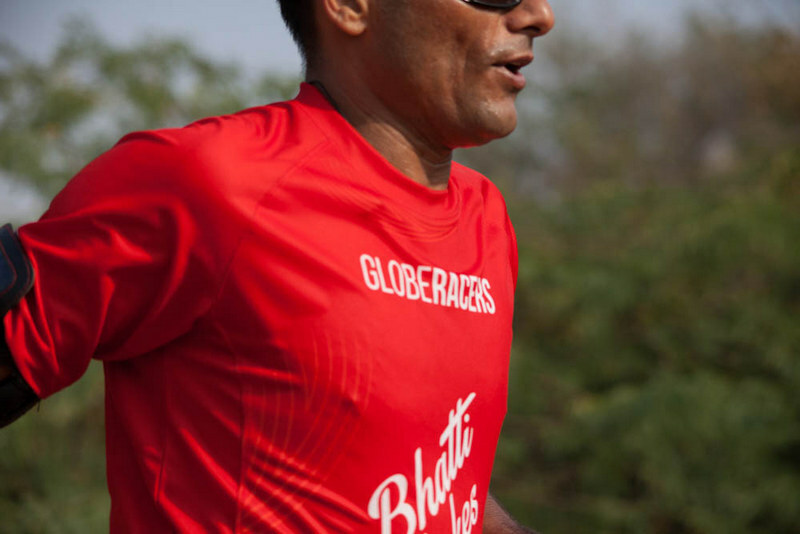 They are both ultra runners and Bhatti veterans, having been part of two previous editions. Lovey Uppal, another of our greatest supporters and friend. On Saturday morning, he showed up at 7.15am with breakfast for all the volunteers, on a short notice. He then asked, ‘let me know what more I can do, you just have to ask’. Did we say we love the ultra running community and the friendships that last? 🙂 He also ran 50Kms on Sunday after volunteering till late after on Saturday. Give this man three cheers! 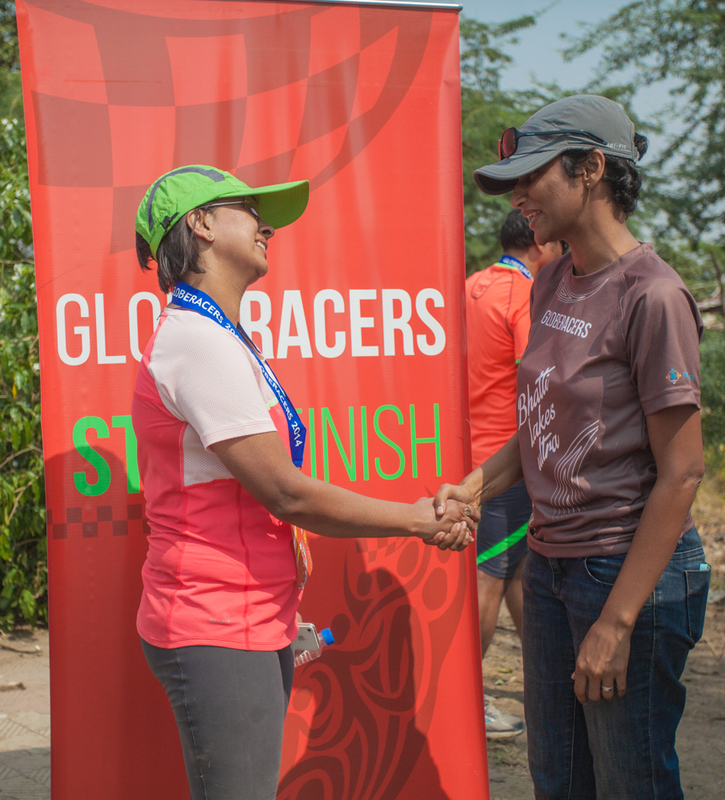 Everyone at Globeracers is very thrilled to have such associations solidify, both with organizations and individual runners who want to give back to the community and share their experience of ultra running with new ultra runners. Three cheers to all. 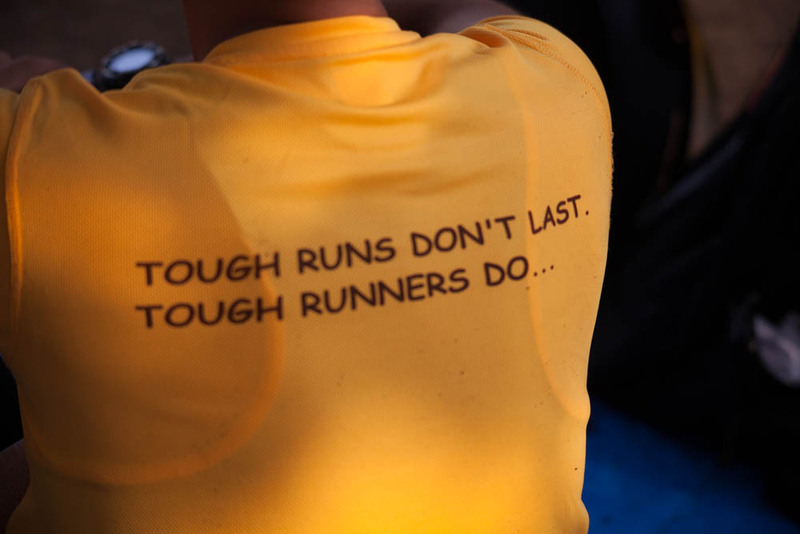 If you are an ultra runner you know any amount of running on a bad day is just that, bad. 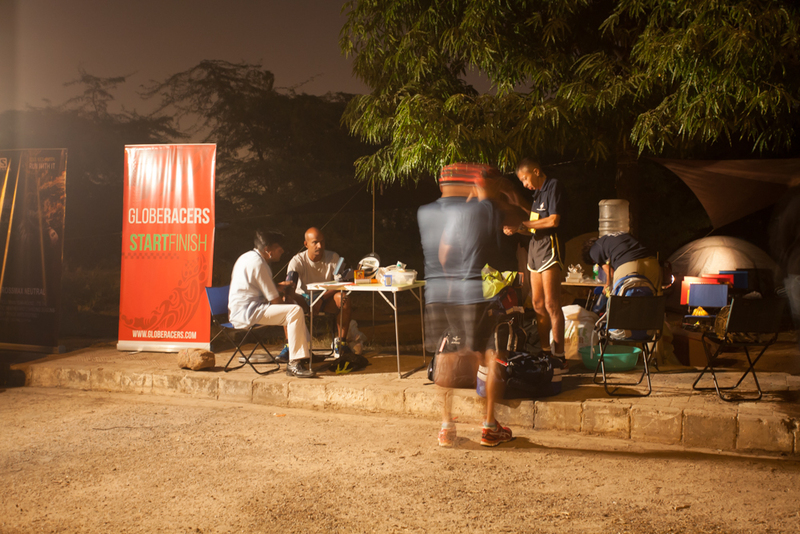 Sadly, we had couple of runners calling it a day on Saturday, in 220Kms, 160Kms and 100Kms categories. It wasn’t their day, and it always is a sad moment when a runner comes up to us and requests a DNF, and only one was due to medical reasons. 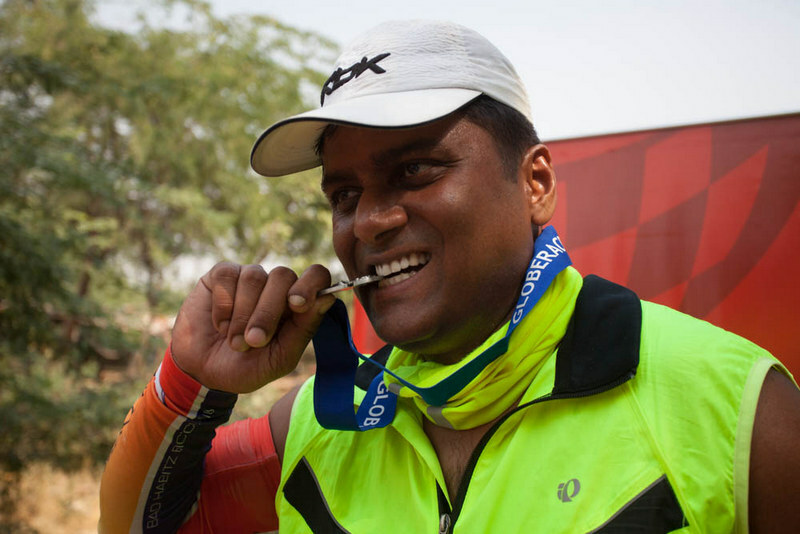 Bhupendrasing never recovered from the bout of stomach upset and though he braved through it all for 120Kms, the sensible runner in him prevailed and he decided to pull out of the run. Before he made that decision, he tried various things to get to where he wants to be physically and emotionally, to carry forward and finish the race. No amount of rest, hydration and fruit intake made it possible for him in this race. With a total of 6 runners calling it quits on Saturday, we somberly readied for more action on Sunday. 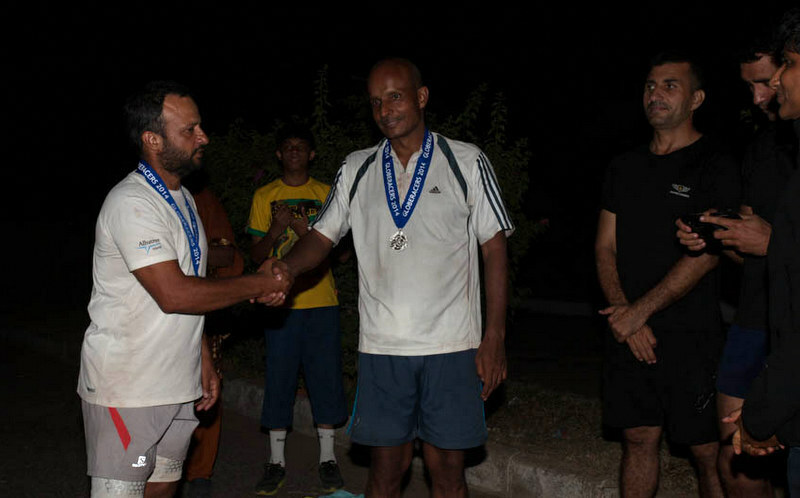 50Kms runners, both solo and relay, started at 5.02am Sunday morning. Its great to see eager runners, many at the start line of an ultra for the first time, get set to race with a lot of questions and doubts in their mind and the big transformation post race, sharing their experience and giving advice, something that they themselves were seeking just a short while ago. That’s the mark of an ultra runner. Always ready to learn and, always ready to share! 47 runners in all started on Sunday. Temperatures were in the high 30s, topping off at 38 degrees that morning. Bhatti Lakes Ultra isn’t tough just because of the distance but also because of the humidity, temperature, thorns and the intensity of the trail. It is known to have tamed experienced runners. Terrain changes literally every few hundred meters and demands your full attention all the way through. Of the 47 that started on Sunday every one took home a finisher’s medal except for 8, of whom 3 finished the distance but much later than the allowed time. Every runner performed great in this edition, and even those who did not qualify for the medal due to cut-off time limitations; they were not limited in their performance on the trail. This is what we love seeing, year after year, race after race; great running, and the spirit of the runner leaving a little of itself behind on the trail, to welcome the next set of runners in to its layers of myth, reality and all that’s in between, of ultra running. Good luck to every one, happy running and let your soul run free on the trails. There is jubilation after every race, and the endorphins last much longer than a few hours. 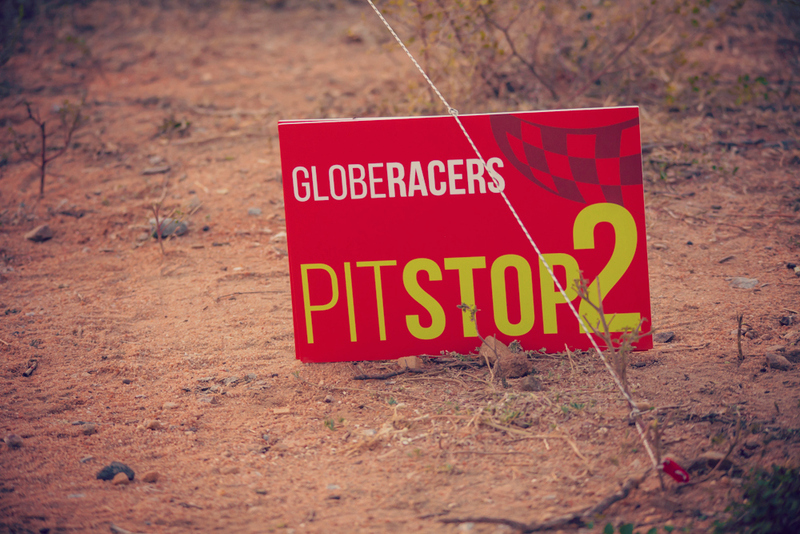 Each of us at Globeracers is dedicated to making your runs memorable, exciting and a great experience with a race that is organized with a well-laid plan and a great support system. Write to us if you think there is anything we can add to the races, do better and give back to the community a little more than now. Celebrating 5 years of Bhatti Lakes ultra with a cake gifted by Manik Dhodi, an ultra runner and friend, and a Bhatti veteran. These are the moments that define ultra running, the community togetherness and the support. 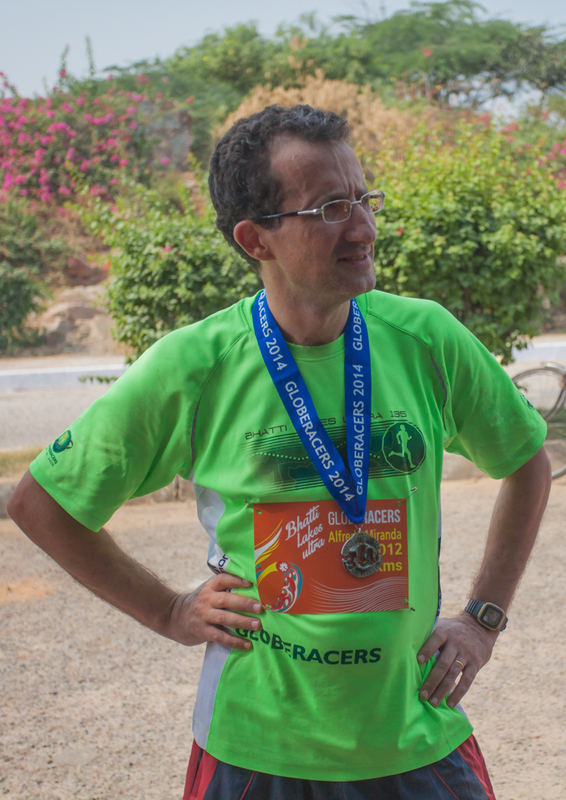 Next races on Globeracers calendar is Nilgiris Ultra: http://www.nilgirisultra.com, December 13-14, 2014. Agree, Vinay. A battered soul does heal, the soul and the sole. It all comes together on the trails is what I think.